Dudleya candelabrum is native to the Northern Channel Islands. The Candleholder Liveforever grows on north exposures on rocky outcrops. 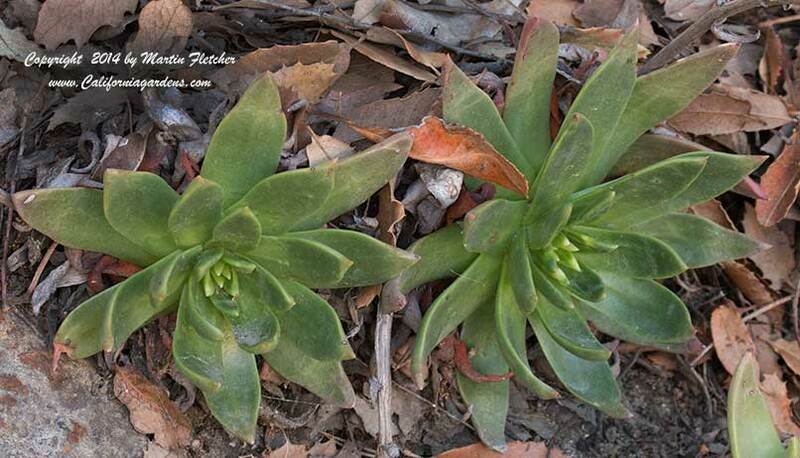 Dudleya candelabrum is listed as Threatened by the California Native Plant Society. Rosettes are 3-4 inches wide the inflorescence up to a foot tall. The yellow flowers bloom in spring and are subtended by pink bracts. Dudleya candelabrum is frost tender. Succulent foliage of Dudleya candelabrum - Candleholder Live Forever. High resolution photos are part of our garden image collection.